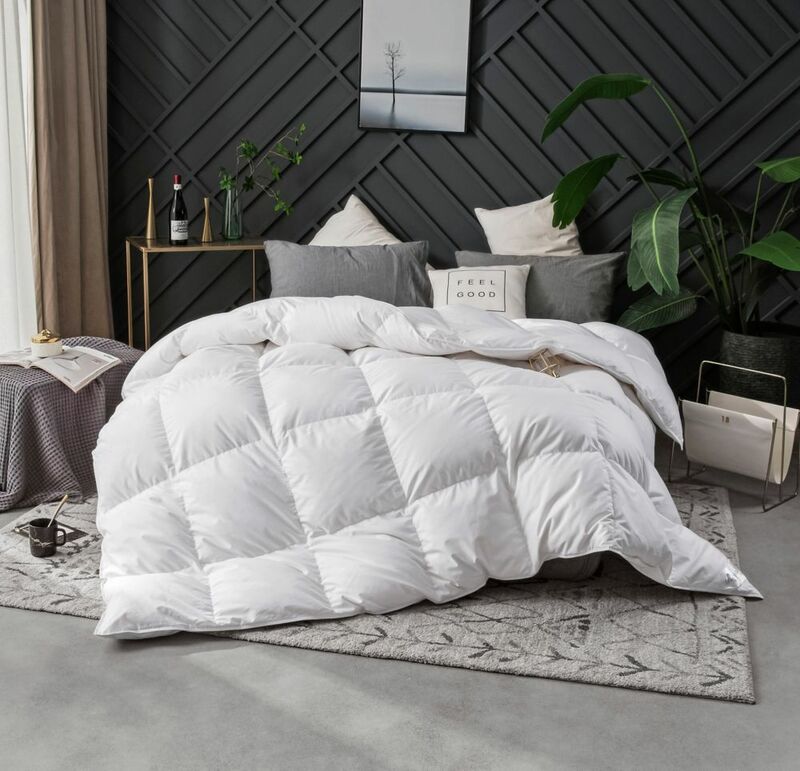 400T Hutterite Goose Down Duvet, 4Seasons, Double27 Royal Elite Canadian Hutterite Goose Down duvet encased in 400 thread count, 100% down-proof cotton. You'll enjoy this lightweight duvet with exceptional insulating properties. Made in Canada. Our products contain the Downmark label which is your assurance of quality and contents. Available in 3 weights and 4 sizes. Available in Summer, Four Seasons and Winter weight. Sizes and weights: Summer Weight: 66" x 90" - 18 oz, Double - 80 x 90" - 22 oz, Queen - 90 x 92" - 25 oz, King - 105 x 92" - 29 oz. Four Seasons Weight: Twin - 66 x 90" - 22 oz, Double - 80 x 90" - 27oz, Queen - 90 x 92" - 30 oz, King - 105 x 92" - 35 oz. Winter Weight: Twin - 66 x 90" - 26 oz, Double - 80 x 90" - 32 oz, Queen - 90 x 92" - 35 oz, King - 105 x 92" - 41 oz.